The Zambezi River is 2700 kms in length and crosses through 7 countries before finally reaching the Indian Ocean. A lifeline to animals and humans alike throughout its course, it also provides borders, electricity and a natural beauty that brings tourists from afar to see it. Where the Zambezi plunges over 100 meters into the Batoka Gorge and forms one of the 7 natural wonders of the world, The Victoria Falls, sets the backdrop for the 3rd running of the Zambezi Cycle Challenge. The Zambezi Cycle Challenge primary objective is to raise funds to preserve the environment surrounding this natural wonder. These funds will be raised through providing a top class, uniquely challenging and adventure filled experience through beautifully scenic and natural reserves for participants that are conservationists as well as adventure enthusiasts. The event will take place from the 12th to the 14th July 2019 with the compulsory pre event briefing taking place on the evening of the 11th July. 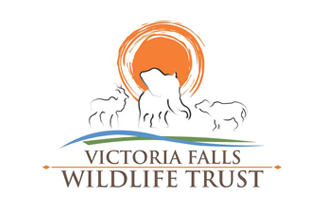 Will start about 45km south of Victoria Falls along the Bulawayo Rd and take us back to Victoria Falls on a combination of old hunting tracks, elephant paths and along the banks of the Masue River all the way back to Victoria Falls. The distance is approximately 80kms. Will start at the Westwood Vlei, about 40 kms on the Road to the Kazungula border, and take us back to Victoria Falls along the Westwood Vlei and then through the Zambezi National Park and along the Zambezi River. Distance is approximately 60 kms. The start is on the edge of the gorge about 30 kms out of town below and downstream of Victoria Falls. The route on this final day will be mostly single track as it takes us back towards Victoria Falls along the Batoka Gorge with spectacular views of the Zambezi River way below and the Victoria Falls as you approach the finish. You will literally be riding on the Edge on several occasions on this stage. There are some technical stretches on this day but these can be easily portaged or ridden slowly. Distance is about 50kms.